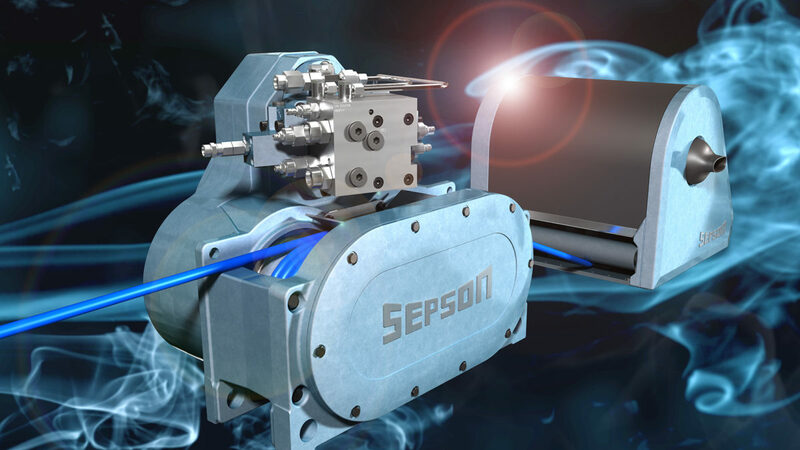 The SEPSON SEPTRAC recovery winch uses two separate units – one for pulling and one for storing the wire rope – allowing for constant pulling force and constant wire rope speed, regardless of wire rope length and spool diameter, over the entire wire rope length. No loss of pulling force and no stops or jamming. The two-unit operating system also offers great flexibility regarding vehicle integration, wire rope entry point and wire rope length. The compact traction unit, with its fully integrated planetary gearbox, is smaller than a conventional drum winch and can be mounted separately from the storage unit. The storage unit in turn can be dimensioned, positioned and oriented independently in regards to both the traction unit and the wire rope entry point. All of which provide vehicle designers and manufacturers with unsurpassed advantages. To maximize traction torque with a minimum of wire rope wear, the SEPTRAC traction unit uses two grooved capstan drums where the grooves keep the coils separated. The wire rope winds up onto the storage unit with a modest back tension force of just 1-3 % of the available SEPTRAC pulling force. The low storage tension eliminates the risk of crushing layered coils, as well as jamming when rewinding a slack wire rope, while also ensuring long wire rope life and safe operation. The two-unit design also eliminates the need to overcompensate in order to achieve a constant pulling force and rope speed along the entire wire rope length. 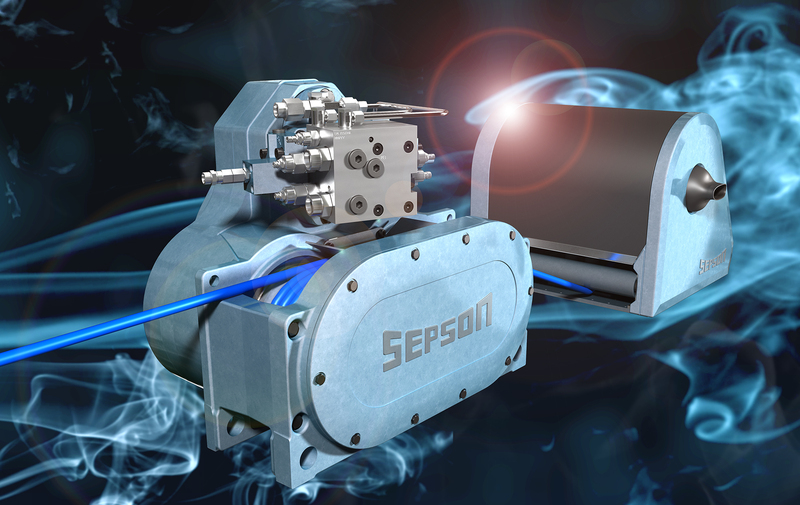 This cuts operating costs and ensures long service life cycles, making SEPSON SEPTRAC highly cost-efficient. The space-efficient design, flexible integration and reliable performance, as well as the constant pulling force, make SEPTRAC especially well-suited for Heavy Equipment Trailers (HET:s) and Armoured Personell Carriers (APC:s).